Tag Archives for " Future "
As technology is advancing daily, it’s offering revolutionary ways of handling both personal and business tasks. Modern techniques feature exciting improvements that individuals, enterprises and corporations can use. They offer entirely new methodologies for addressing persistent and old problems. The future of these technologies greatly relies on the current innovative activities and demands for services. According to the Forbes Technology Council, inventions such as blockchain, the Internet of Things (IoT) and generative adversarial networks are impacting modern life. The council also believes that artificial intelligence and machine learning mostly affects modern life. 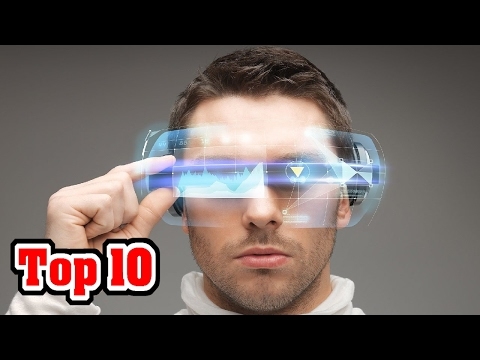 The following technologies are likely to be prevalent in the future. Breakthroughs in AI continue to happen every day in sectors such as IT, healthcare, business and manufacturing. As AI advances, it is likely to change how we access and carry things. In the future, there are high chances of having AI technology that connects humans seamlessly. Though the technology can’t replace human intelligence, it’s likely to have a higher demand in the future than human intelligence. The most recent processors to utilize the power of machine learning are Intel processors that feature Fast Field Programmable Gate Arrays. Processor manufacturers are currently testing chips with the ability to accelerate machine learning and real-time input/output (IO). These improvements aim at lowering costs, improving efficiency and driving better customer outcomes. Generative adversarial networks are among the upcoming technologies to disrupt modern life. They may make it easier to pit two neural networks against each other to make one of them efficient at producing new things. The technology may also help in the production of realistic-looking photos. Though there’s nothing tangible out yet, the tech may be the next big thing. Healthcare practitioners need new approaches to tackle the complex challenges in their field. Predictive analysis is likely to help healthcare providers use genomic data to predict people’s medical histories or diseases. Tech companies are currently dedicating resources to turn this tech into reality. They’re also partnering with healthcare providers to develop the next revolutionary public health solutions. Through the Internet of Things (IoT), there’s a significant increase in the number of connected devices for the last decade. The next tech breakthrough is likely to involve the combination of technologies such as blockchain and AI with IoT. The mixture may first create transformational value in the manufacturing sector. As it advances, it may also improve decision making in the consumer market. Thanks to blockchain tech, cryptocurrencies are rapidly revolutionizing current financial transactions. Blockchain analysts suggest that technology is likely to be part of the enterprise solutions of more businesses in the future. The tech will help more companies and individuals to exchange information without relying on a middleman. With technologies such as blockchain, AI, machine learning and predictive analysis, the future of tech is quite bright. More people and companies will have a reason to stay productive as they use them. There are high chances that the poverty, illiteracy and unemployment levels may reduce thanks to the adoption of these inventions.